I remember my first Valentine’s Day experience. I was in first grade and I drew a big crayon heart on construction paper. I wrote my name right in the middle of the heart. I then added a plus sign and a boy’s name that I liked just underneath my name. I don’t remember actually handing it to the boy and I can’t remember if his name was Joe, Lance, or something else, but I vividly remember giving my first crush a symbol of my feelings. I don’t remember what I expected, but I imagine I was as hopeful as a little girl can be. Unfortunately, I received no response from my young crush. Instead, I received the bad news from his friend, who told me that my crush, whoever he was, flushed my crayon Valentine down the toilet. And even though I was a just a wee little girl, I can still feel my first sting of rejection. It still hurts! I never told anyone about the flushing incident. Although Valentine’s Day was not as well advertised and perhaps as important a holiday as it is today, I am sure that this single incident of rejection stung more because it was tied to a holiday. As a child, I did not know how to explain how uncomfortable that rejection felt. As I got older, the embarrassment continued. Even though things didn’t work out, perhaps that experience set me up to expect something special every time Valentine’s Day arrived. For many years I would wonder: will I be someone’s Valentine? Even in first grade, I was desperate to get attention and be loved. That feeling never went away, even as I grew taller. Now that I am a professional Marriage and Family Therapist, I strongly believe that children should have a healthy appreciation for the holidays, Valentine’s Day included. There is no reason to leave a child’s view of the day up to chance when parents can set a positive example for them at the beginning of their lives. Good parents can create an experience that makes everyone in the family feel included and loved in an appropriate and meaningful way. Parents are the ones who are best able to teach lessons on surviving rejection, as well. When working with adults, I often see people who do not know that they can feel love and be loved. These patients would have felt better as adults with guiding parents who taught them how to feel loved and, indeed, special from an early age. In fact, it’s never too early to talk about love. This Valentine’s Day, make a commitment to have a conversation with your children about some of the most important questions in any of our lives: What is love, exactly? What does it feel like? Are there different kinds of love? What kinds of love are good for little girls and boys? Can pets love us back? Your children will have many more questions: do your best to answer them. No matter how the conversation goes, it will make the day unique and special and a wonderful learning opportunity. As parents, you know your family better than Hallmark does. Use Valentine’s Day to demonstrate ways show your love! At an early age, you can teach your children not to be overly influenced by the intense marketing of this holiday. Although buying the right card and remembering to purchase expensive flowers and chocolate have become traditional expressions for Valentine’s Day, you know what is best for your children. Give them something special and unique to make the holiday less about money and more about the right definition of love. You could arrange a play day to celebrate your love for each other. As loving parents, you have a wonderful opportunity to show your children the right way to honor and respect each other as partners and to show them what romance means in an appropriate way. 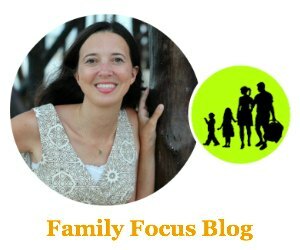 The kids could do something different and special between their siblings. You can all do a fun project together like make Valentine’s Day miniature cheesecakes. And never forget the four-legged ones – they are full of our love too! Give your family a treat this holiday. Before Valentine’s Day has come and gone, think about what should love look like in your house. 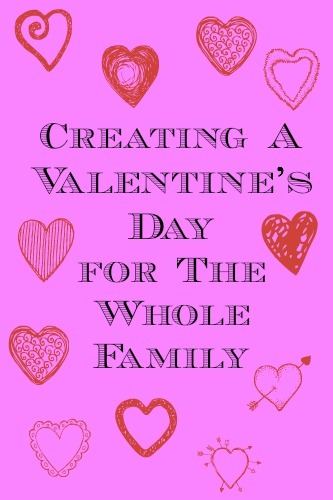 Here are some fun Valentine’s Day free printables that the kids will enjoy while you talk about what love means to you as a family. Think about how you want your children to think about Valentine’s Day going forward. I would bet a construction-paper-heart that whatever your idea is, it’s beautiful and worth celebrating. We don’t usually make a huge deal about Valentines day. We believe that you should show each other LOVE every day and not be prompted by a Hallmark holiday. These are great ideas. Of course, I don’t mind getting spoiled on Valentines day but I don’t expect anything. Aw, that’s sad that the boy flushed your Valentine down the toilet. I like the idea of celebrating Valentine’s Day as a family – it’s always nice to let one another know you love them and sometimes you forget to say it as often as you should.